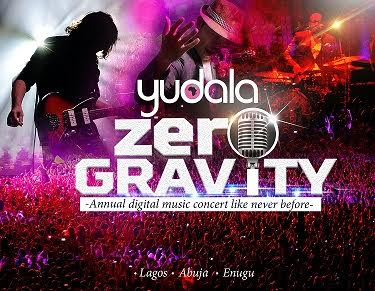 A number of corporate organizations including foremost financial institution Access Bank, telecommunications giants Airtel and fast-growing smart mobile devices brand, InnJoo Mobile have swelled the growing list of sponsors for a multi-city digital entertainment concert tagged Yudala Zero Gravity powered by Africa's pioneer composite e-commerce outfit in partnership with New Concept Media Group (NCMG). Also joining the list of media partners for the debut edition of Yudala Zero Gravity are MTV Base, Cool FM, Wazobia FM, Urban FM, HOT FM, Dream FM, Nigerian Communications Week, Sabinews, ITRealms, News Express, The Capital and Political Economist, among others. For Access Bank and Airtel, two corporate institutions that have enjoyed sustainable success in the banking and telecommunications sectors respectively, this endorsement of Yudala Zero Gravity continues a track record of mutually rewarding partnerships with Yudala. Both organizations are major partners to Yudala on YUBOSS  an entrepreneurship and wealth-creation scheme set up by Yudala to build a league of emerging entrepreneurs and generate creative employment for millions of Nigerians. Membership of YUBOSS offers participants a chance to become part-owners of Yudala franchise stores without any form of investment, while receiving attractive commissions in the multi-level scheme, among other wide range of benefits. Both companies have also featured prominently in the Gyming with the Stars series  a Corporate Social Responsibility initiative of Yudala which offers Nigerians from all walks of life a chance to work out with their favourite celebrities. InnJoo Mobile, on the other hand come into this partnership with Yudala on Zero Gravity on the back of its rising profile as a leading manufacturer of cutting-edge and price-friendly smart mobile devices and lifestyle goods. Within a couple of years of launch, InnJoo Mobile which recently launched the Max 3 smartphone which is taking the market by storm, has steadily acquired a growing share of the Nigerian and West African mobile devices market. Yudala will also benefit from widespread publicity and coverage of the Zero Gravity concerts from the slew of media partners who have identified with the event. The inaugural edition of Yudala Zero Gravity will hold in three cities - Lagos, Abuja and Enugu. Each city will host two concerts: a Contemporary Nigerian music blast and a Rock Gospel concert. Zero Gravity will witness pure acoustics and live performances from the best Nigerian artistes in both genres of music. Already, a host of A-list artistes from both genres of music, comedians and other acts have been confirmed for this event. As an initiative to reward customers, free tickets will be delivered to Yudala customers for purchases made from August 1st 2016 online or in any Yudala Experience Store nationwide. Customers will also be upgraded to VIP or VVIP on the basis of further purchases which may take them to the threshold for these categories. Stay hooked to LIB for more juicy breaking news and other updates on Yudala Zero Gravity.